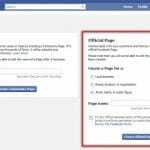 How To Create Entertainment Page On Facebook – Do you love jokes or memes? Want to promote your love for your favorite celebrity or serial or book? Looking for way express your funky side? 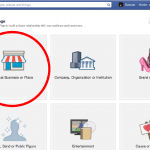 Want to know how to set up An Entertainment page on facebook? Have entertainment page build up to promote your funny side or business line like movies, serials and many more. If you are generally a person of the entertainment industry or an individual who wants to create a page for creating light moments in life of others, then entertainment page is the one for you. 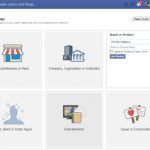 Know how to create an entertainment page on facebook and more. What Exactly Is An Entertainment Page? Entertainment is a genre which focuses on giving pleasure and delighting hearts with jokes, performances and many more. Facebook distinguished such pages with others being Community & Cause/ Artist, Band & Public Figure / Brand or Product, Company Organization or Institution etc. The Entertainment industry is widely spreading and is hugely being appreciated worldwide. 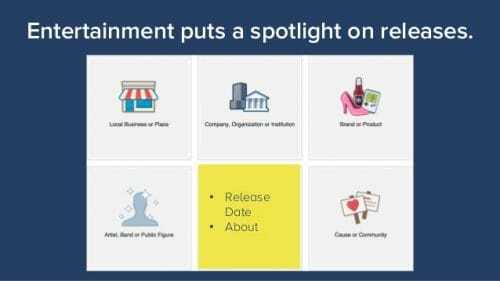 Businesses that are classified under Entertainment category can hugely benefit out of such pages as their category. You get to choose your own audiences which are directly connected with your industry. Now unrelated posts and member as well as followers are a thing of past! If you love comedy or want to support your own favorite movie, TV serial or soap or radio channel etc. this can be tool in your hand to showcase yourselves. If you go by the followers, such pages have huge followers but need constant maintenance by updating news feed in regular basis. 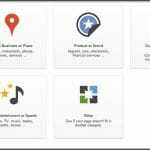 You get to add videos and links also with wider audience scope. Creating pages for fun is something a leisure time but what about some serious stuff? One cannot lust for likes and followers all his life just for the sake for entertainment! The entertainment or media channel has been a great beneficiary of such pages. This is like a marketing strategy for your business for getting a identity from obscure to a household name. You get to interact with people and individuals of your industry and line more. Create the buzz & excitement with the masses for better promotion. You get to create more traffic on the channels being promoted. More engagement means more revert which means more consumers. More popularity & social engagement on wider audiences. Greater exposures as these pages are loved by audiences of all ages. Name is a reflection of your page! Choose it wisely. Facebook has set some guidelines to choose or adopt a name. We give you a guideline on choosing one for you. No abusive or rights being violated. No variation of word “Facebook”. Name should not mislead followers or have long descriptions. Symbols or punctuations which are unnecessary. No generic words like Burger or geographical locations like India. Fist you need to have an Fb account in order to make a page. You can simply sign up. if you already own one, then go to next step. Click on “Create A Page” option. Click on “Entertainment” option in the given choices. Select Category will be presented like Album, Book, Tour, Movies, Magazine, Tv Channel, record label and many more. Type in the name in the “Name” dialogue box which descirbes the name of your desired page. 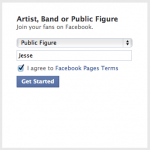 Click on “Get Started” which means you are adhering to all the terms and condition of facebook pages. You get to edit your page with menu being – About> Profile Picture> Add To Favorites > Preferred Page Audience. Fill as per your need and choice. After filing every section, Click on “Save” option. Your page is created. Now you can start with all the editing work and posting as you want or invite new people to peep. Facebook Entertainment Page can become a miracle for highlighting unique & out of the box brand value of a company. So follow the above mentioned tips to setup entertainment page in FB and unleash the new roads of success.